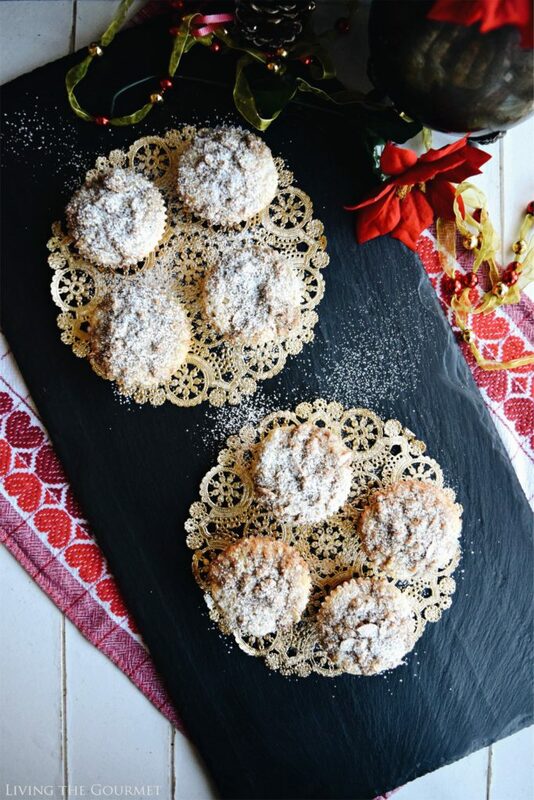 Warm up the winter mornings with a fresh batch of these spelt muffins speckled with dried cherries and topped with a crumb streusel! All of us, or someone we’ve known, has this experience at least once. 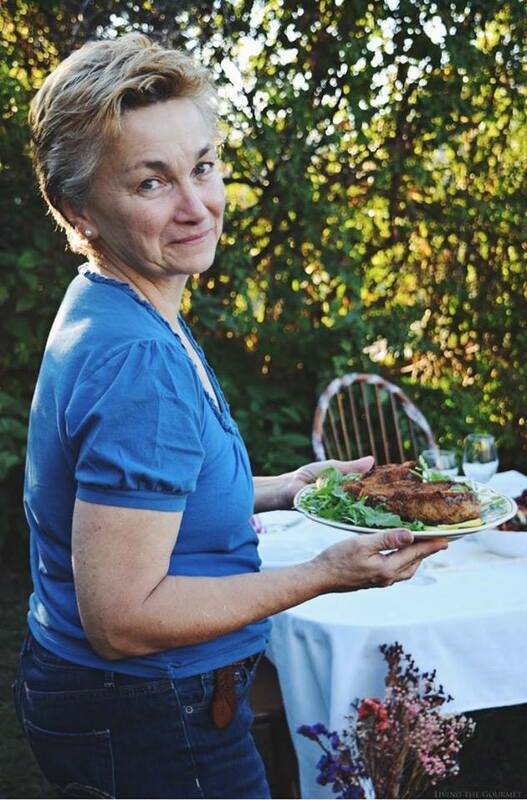 You go to a restaurant, and come out thinking “Oh the food was forgettable, but the atmosphere made me feel so at home, I would go there just to get out and have fun.” It’s an instantly understandable sentiment. That’s also the power of good presentation. One of the best bits of advice I’ve ever received is that “You can prepare the finest, most exquisite meal, give it all the trappings, but if you’ve forgotten or forgone the feast for the eyes, all your effort was in vain.” In other words, presentation is everything. Recall the cliché, “First impressions are everything.” Presentation, in this regard, is your meal’s first impression, as we sample our food first not with our palates but with our eyes, and it is this visual that creates a sort of “bias” on your palate, either positive or negative, towards what we are about to taste. Particularly around the holiday season this becomes especially important, where ‘spirit’ and ‘warmth’ are conveyed, at least in part, by one’s surroundings. I found myself considering precisely this point after receiving a simply beautiful gift earlier last month – a pair of SlatePlate serving boards. Now, aside from simply looking great in my pictures here on Living the Gourmet (as you might have noticed from a few of my previous posts), these are super-functional for entertaining or for everyday use, being dishwasher safe and featuring acrylic feet for convenient handling. Now, while one might associate hand selected, hand cut slate with entrées or elaborate antipastos, I’ll emphasize that they really are a good bit more versatile than that. 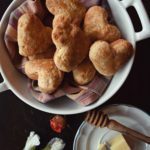 For example, this was put on great display just a few mornings ago when I received a surprise call from a dear friend of mine for an impromptu morning visit – which is where today’s recipe comes in. 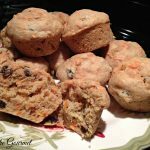 Needing something I could put together relatively quickly, but that would still serve for an elegant morning ‘bite,’ I decided on Spelt Dried Cherry Muffins. To start, we begin with a from-scratch muffin base of spelt flour, softened butter, eggs, and sugar. To this, we add sour cream, milk, chopped dried cherries, and lemon zest. After preparing the base as shown below, I put together a streusel topping with butter, flour, brown sugar, oats, cinnamon, almonds, and sugar. Then, I simply crumbled the topping across each muffin, and baked them for about fifteen minutes, giving me just enough time to let them cool before it was time to serve. In a large bowl combine the butter, all-purpose flour, brown sugar, oats, cinnamon, sliced almonds and sugar. Crumble the mixture and top each muffin evenly with the mixture. Preheat Oven 350 degrees F.
In a large bowl combine the spelt flour, sugar, baking powder, salt and lemon zest. In a separate bowl combine the butter, milk, sour cream, eggs and vanilla and mix together with an electric mixer. Pour the wet ingredients into the dry ingredients, add the chopped dried cherries and mix. 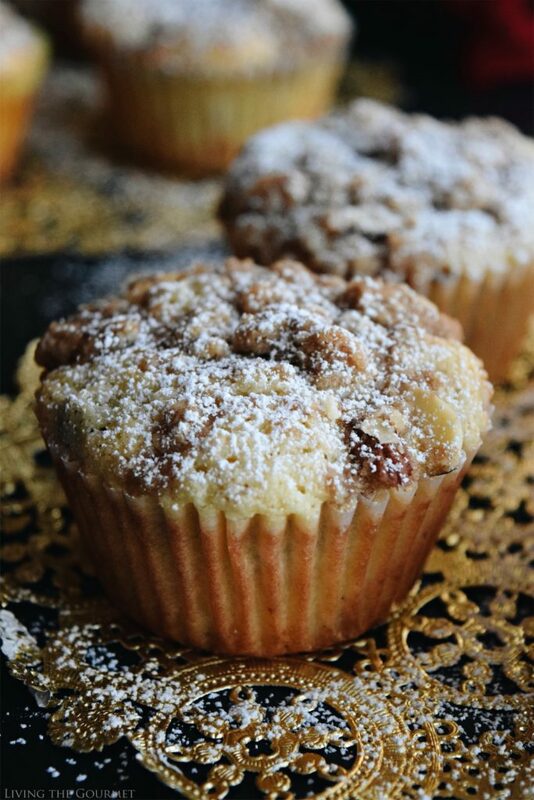 Fill the tins evenly with the batter and top each muffin with the streusel mixture. 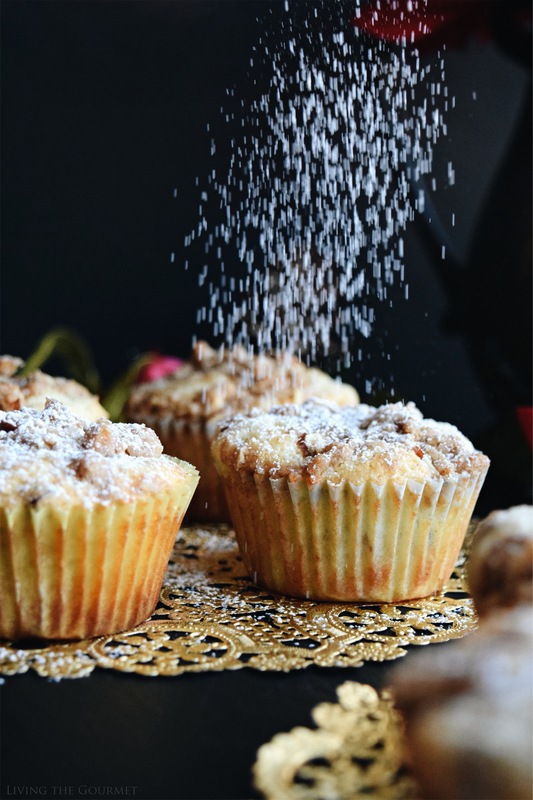 Allow the muffins to cool and then dust with powdered sugar before serving. To plate, I simply arranged the muffins on the slate platter that I received from Slateplate. To finish them off, I gave the muffins a quick dusting of powdered sugar and I was done. Aside from tasting great on a chilled wintry morning, the presentation was equal parts elegance and holiday warmth. Add a touch of elegance to your dinner or dessert table this holiday season with Slateplate, exquisite, hand-cut and finished natural slate. Custom engraving is also available on all their products. Slateplate makes for a perfect gift as well! They look lovely! 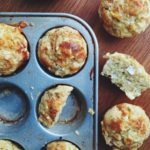 Spelt used to be my top favourite grain and these muffins look glorious! omg that's my kind of muffin. It looks like the perfect breakfast treat and I love cherries in muffins. A healthier recipe to save for later, thanks for sharing! These certainly are a feast for the eyes. They look delicious. I've never seen Slateplate, but I will definitely have to look into to those. Spelt muffins, interesting! I saw spelt flour many times in my local shop but I have never tried buying it. Now I surely will because I have your awesome recipe! 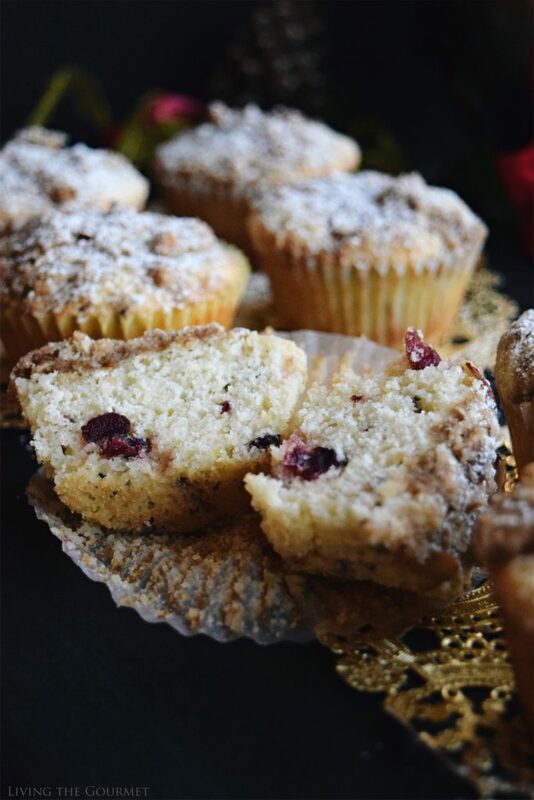 These gorgeous cherry muffins look like the perfect thing to make and bring to my friend's Christmas brunch party! 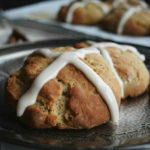 I love that the spelt flour adds a unique and nutritious twist. Luci's Morsels | fashion. food. frivolity. These look so pretty and I just love cherries. Sounds like the perfect light breakfast to me! 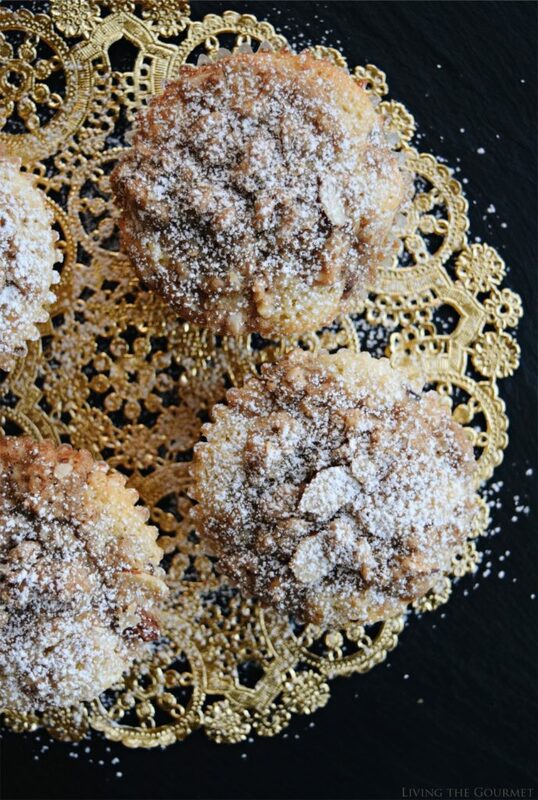 The added powdered sugar on top make these muffins look so fancy! I would love to bring something like this to our next book club brunch! I totally agree about presentation. You always do a marvelous job with that! And I'm loving that slate platter. Just stunning! These muffins look like a great breakfast! 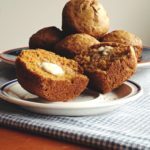 The slate serving boards are lovely, and the perfect backdrop for these muffins -- I'm so loving them! 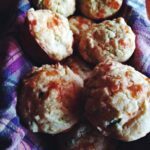 I am in love with that slate platter - and these muffins! These would be the perfect start to my morning! I love cherries. This would be perfect for Christmas morning or brunch! And +1 on the presentation. That makes or breaks a dish! Beautiful presentation and boy would that slate plate come in handy! Your spelt cherry muffins look better than what you can get at a bakery. 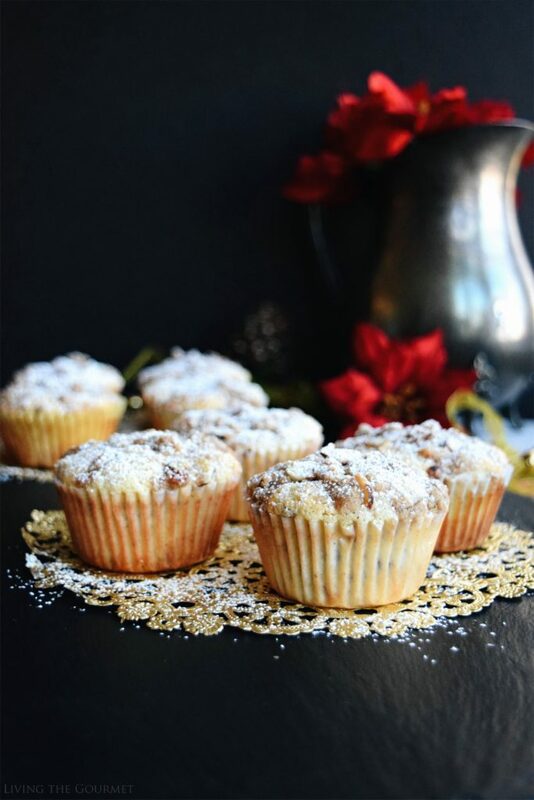 Sharing this recipe with my daughter, she loves baking muffins! These look so pretty. I love the dark and moody photos you've got going on for these. I bet the spelt gives this the perfect texture.